Police Report: Officer Wells introduced himself as a Milwaukie officer attached to the Metro Transit Police. He handles a K-9 bomb dog and often assists other departments. He distributed crime stats for the month of August. The Photo Radar Van and insurance for Jag the Police Dog were discussed but Officer Wells did not have current information about those areas. A request was made by one neighbor for more police presence on Home Avenue due to speeding. National Night Out – August Meeting About 60 adults and children attended the picnic at Homewood Park. If we do it again next year some things might need to be changed, but it was agreed it was successful in bringing people together who did not usually attend the meetings. Neighborhood Food Fight There will be another event this year to gather food for the Oregon Food Bank while providing information to people about the Neighborhood Associations. Linda Hedges is chairing the project. Tentatively it will be held on Saturday, November 14th, from 8am to 5pm at Albertson’s. Safeway has declined to participate this year. 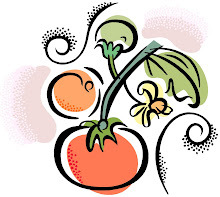 Non-perishable food brought to November’s meeting will be collected and included. More information will be available in October. South Ardenwald Development David Aschenbrenner reported that this project has died due to lack of interest within the Ardenwald neighborhood. 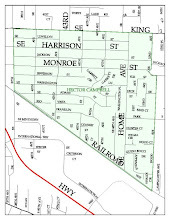 It had been proposed that the development of a master plan for the area around Providence Milwaukie Hospital and Hillside Park would aid the county in future development for affordable housing and other amenities and would provide the local neighborhood a voice in the direction of the development. However, no further work will be done on it unless there is more interest. There is still on-going discussion at the county level over the density of housing units that would be replaced at Hillside Park. 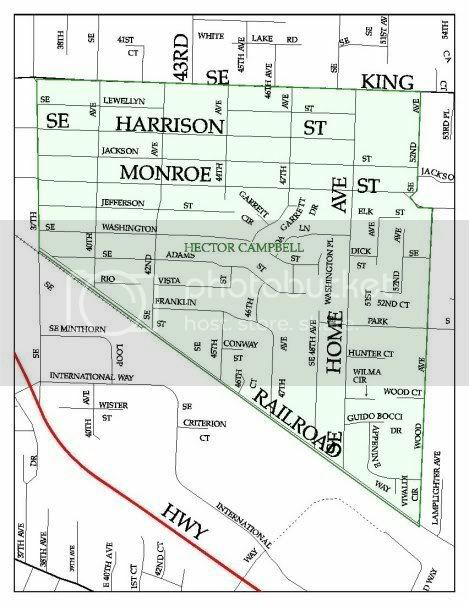 It is currently zoned R3, which is higher than other neighborhoods. Parks Report: Sarah Smith was not in attendance to make a report. Mr. Aschenbrenner was asked about the status of park signage for Triangle Park (37th and Monroe). He said there are some hoops to jump through with the city regarding signing and that has not yet been done. Linda Hedges asked who is responsible for replacement of trail boundary boards, and Mr. Aschenbrenner stated he thought that the city parks department was taking care of that. CERT Training Mary Weaver reported that CERT (Citizen Emergency Response Team) training will take place again on Saturday, October 10th. Those interested should contact Beth Ragel at Community Services at City Hall. The training is free, but if you sign up you must attend as the trainers have to be paid for by CCFD#1. Door Hanger Survey David Hedges and Mary Weaver reported on the on-going investigation by PSAC into whether or not citizens and businesses prefer to maintain the current ordinance against any door hangers, or to have an ordinance similar to Troutdale’s which makes it possible to use door hangers unless a homeowner opts out by placing a sign on their property, and makes infractions a Class A misdemeanor punishable with large fines. PSAC will report back to the City Council once they have finalized their investigation. Safe Routes to School is a grant-funded program that helps make improvements to give better safety and security to children along the route to school. These improvements might include bike racks, sidewalks, signage or other projects. So far none have been applied for within Milwaukie. It is a federally and state-funded project. If anyone has an interest in a particular project they should contact PSAC. Transportation Safety projects It is time for neighborhoods to propose projects that might be funded by the city under this program. It is unclear whether or not there is funding for it this year, but neighborhoods should still make proposals. Last year’s proposal to install a sidewalk along a portion of Home Avenue near Hunter Court and Guido Bocci Court was considered by City Engineering to be too expensive for this funding. Further discussion about the safety of walking or bicycling along the length of Home Avenue from Railroad Avenue up to King Road ensued. Linda Hedges suggested we might consider proposing a long-term plan of improvement for Home Avenue that uses Sustainable Street Design, including traffic-calming measures such as plant islands, narrowed lanes with curbs and bioswales, and roundabouts. No action to be taken at this time. The Milwaukie Public Safety Foundation is purchasing body armour for Jag the K-9 dog. Election of Vice Chair Vice Chairman Jeff Loudon has resigned due to personal reasons. It was proposed and unanimously agreed that we will not refill the position at this time. The Treasurer reported that we are in good shape with our budget at this time. The Milwaukie Poetry Series is in its’ third season. It meets at 7pm at Ledding Library Pond House once monthly from September 9th to June 9th. Milwaukie Light Rail Station Design meeting is scheduled for Monday October 5th 6:30-8:30pm at Bridge City Community Church. It’s very important to attend this meeting. The church building on 40th and Llewellyn has been purchased by a Romanian church community, who are fixing it up to use for services. A new Hawaiian restaurant called Ohana has replaced Hartwell’s and Latitude on north Main Street. Milwaukie Historical Museum has a need for volunteers and will also be undergoing some repairs to the exterior stairway. New Century Players has begun a new season. The Berkman House, where their administration offices is located next to the Milwaukie Museum, will be getting a new roof. They generally hold their plays at Putnam HS but will be encouraged to investigate holding some at the newly-renovated Milwaukie HS Auditorium. The railroad has been replacing ties and repacking gravel along the crossings between Harrison and Harmony Road. Some closures have occurred over the week-end. Next Meeting will be 7pm on October 12th.